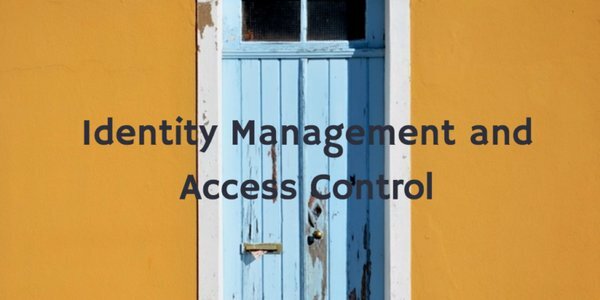 There’s a direct relationship between identity management and access control. In fact, the core task of an identity management solution is access control. The best solutions on the market leverage role-based attributes, among others, to manage access control. Furthermore, many of the top solutions can control access across a wide variety of IT resources, centralizing user access control. And, True Single Sign-On® approaches are simplifying the user experience to access those IT resources even more so. Nowadays, it’s most likely that an organization’s digital assets are their most critical assets. With computer software, health records, confidential plans and data, and other digital data being stored online, the issue of who can access what data is a major corporate issue. In fact, it’s a widespread societal issue, since privacy is a red-hot topic. How IT organizations control and audit access to all of their IT resources is a core function. Historically, a number of identity and access management solutions would be leveraged to solve this problem. Those solutions could include the core directory service, privileged account management solutions, single sign-on, password vaults, and more. Connecting all of these solutions together was painful. It usually started with a core directory service. Previously, on-premises-based solutions, such as Microsoft Active Directory and OpenLDAP, were utilized. Those solutions would then integrate with additional solutions to help control access to specific systems or applications. Identity governance and audit solutions would then be leveraged to ensure that only the appropriate people were accessing that sensitive data. IT organizations struggled to keep up with all of the demands to protect data, provide appropriate access, and monitor it all. Cloud-forward organizations are scrapping the legacy approaches and turning to modern cloud-based identity management solutions to control access in today’s complex IT environment. These Identity-as-a-Service solutions are controlling access to a wider range of IT resources that are located worldwide. The concept of an on-prem network no longer exists, and these cloud-based identity services embrace that change. Users and IT resources can be anywhere, on any platform, and still be connected with ease. That’s a powerful change to the legacy approach of identity management and access control. Directory-as-a-Service platforms are controlling access to Windows, Mac, and Linux systems. Additionally, on-prem LDAP-authenticated applications and SAML-based web applications are authenticated and authorized. RADIUS-based WiFi authentication helps secure access to the network, too. The modern approach to user access control is centralizing authentication regardless of platform or protocol. If you would like to learn more about how Directory-as-a-Service can support your identity management plans, drop us a note. We’d be happy to help. Or, feel free to give JumpCloud’s Directory-as-a-Service a try for yourself. Your first 10 users are free forever.